We’re back already with our second Toyark – Off The Shelf. Today we have a cool mix of items. Included today is news on the Toy “R” Us CEO, a cool Walking Dead Book End, a blast of 80’s Cartoon Intros, some Masters of the Universe Flower Holders and a lit more. Off The Shelf is a round-up of news, tidbits, fun and off-topic stuff that we didn’t post of the front page of Toyark.com. Just read on to check out what’s new today. 80’s cartoon intro blow out part 1. 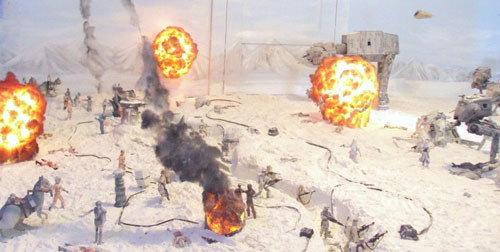 A massive Empire Strikes Back Hoth Diorama…On a living room floor! Gerald Storch steps down as CEO of Toy “R” Us. 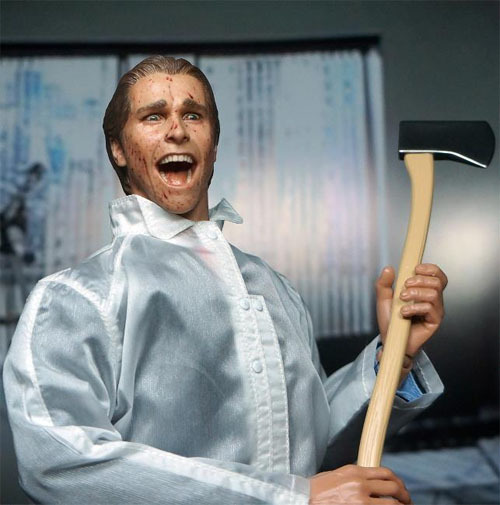 Patrick Bateman American Psycho 1/6th scale figure. LEGO Teenage Mutant Ninja Turtles have been released in the UK. 80’s cartoon intro blowout part 2. 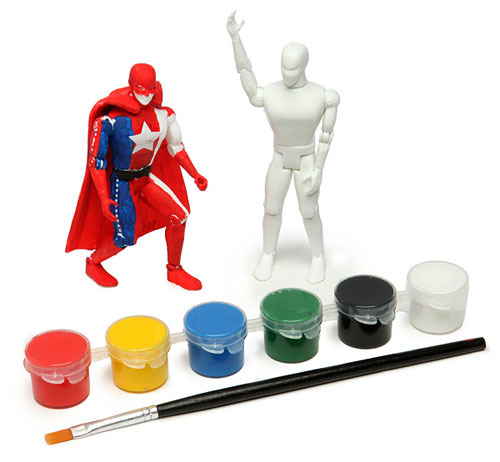 An awesome Make your Own Super Hero kit. The 29 Best Selling Christmas Toys 1960 – 1989. How to fix broken Teddy Ruxpin electronics. Mattel’s official design and illustration guide for the Captain Power series. 80’s cartoon intro blowout part 3! McFarlane Toys gives NFL fans a “small” surprise. 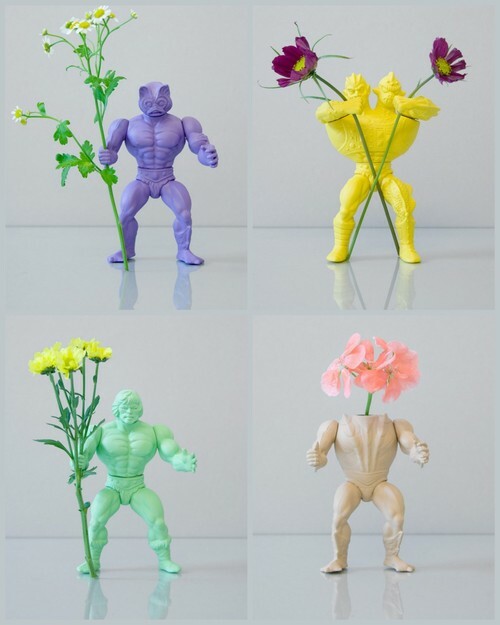 Masters of the Universe figures turned into pop culture flower holders. DC Comics is coming out with Superman stickers that will feature sound! 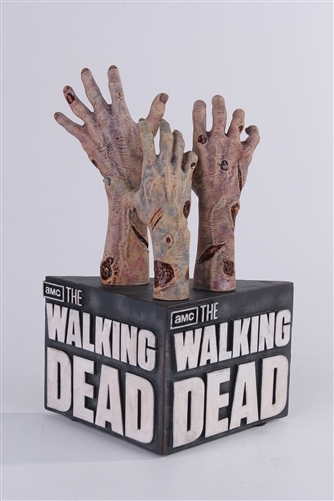 Gentle Giant is coming out with some Walking Dead Bookends. 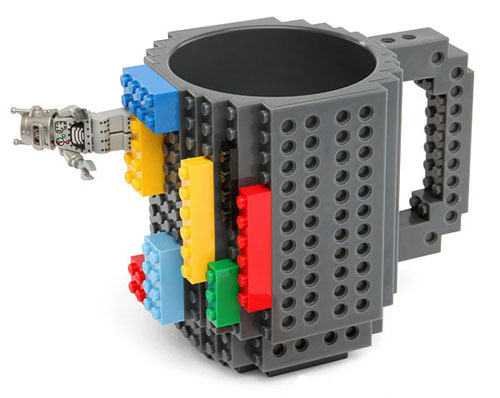 Here’s an awesome LEGO coffee mug that you can actually build on. Behind-The-Scenes on the making of the new Power Lords prototypes. 3.75″ figures are coming! 80’s cartoon into blowout part 4. Sorry, they disabled embedding on this one. 10 unforgettable Christmas toys from the past.